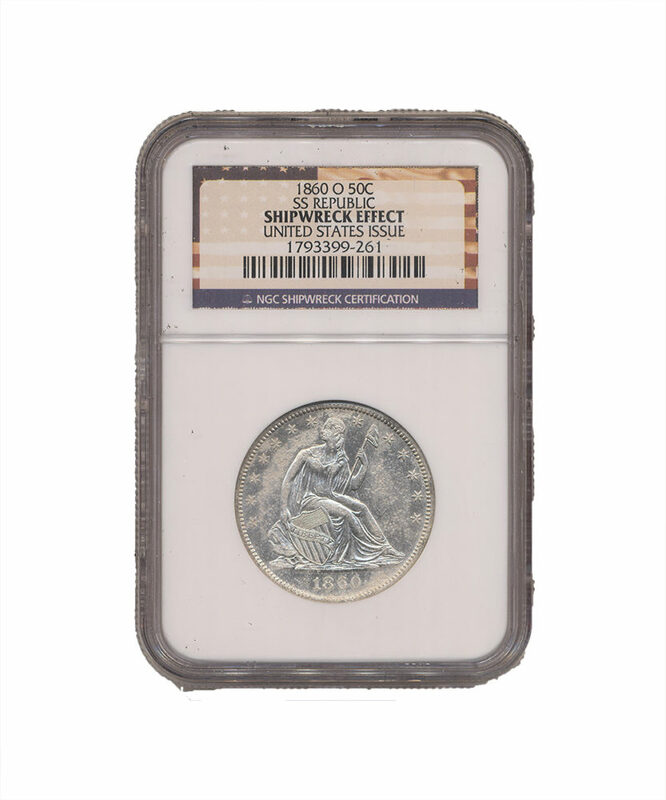 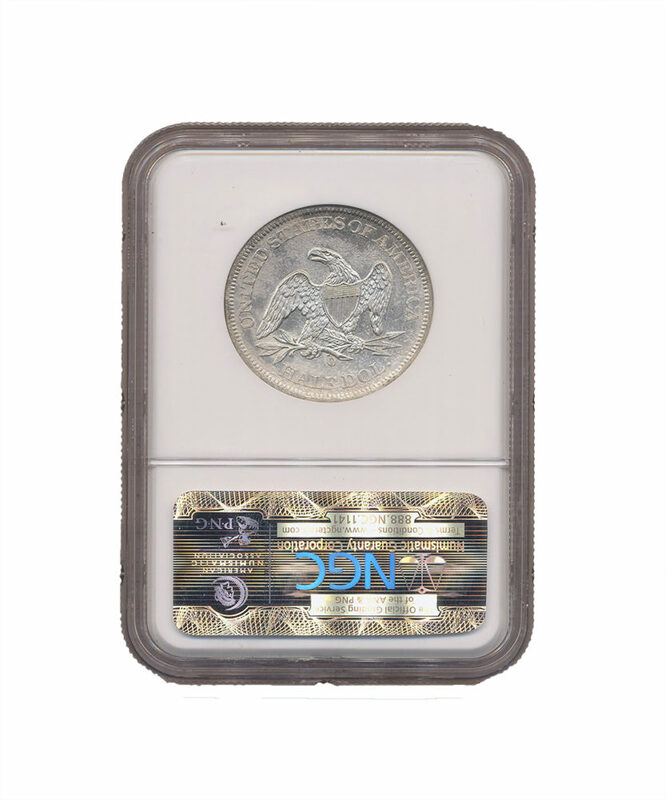 1860-O SS Republic Shipwreck Liberty Seated Half Dollar NGC Certified. 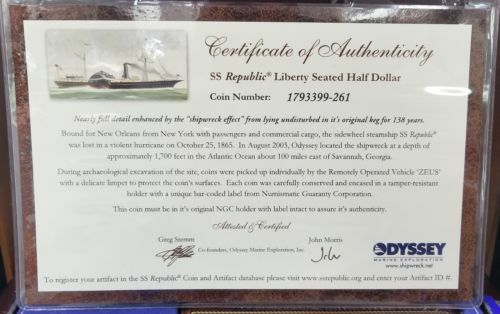 Sea salvaged United States seated half dollar from the Shipwreck SS Republic (see pictured certificate). 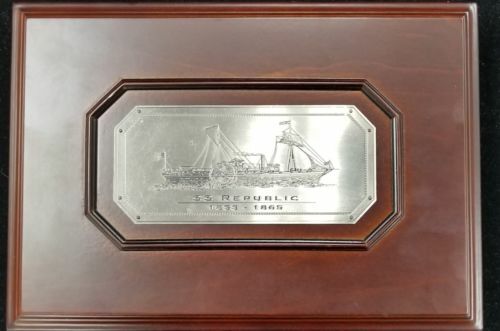 The SS Republic was lost in a hurricane in 1865 100 miles east of Georgia. 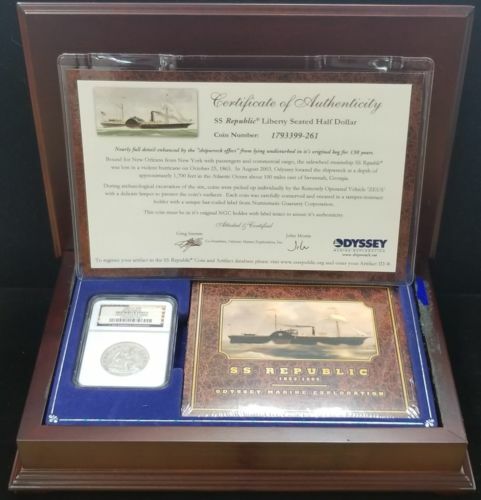 In presentation case with Odyssey Exploration Video. 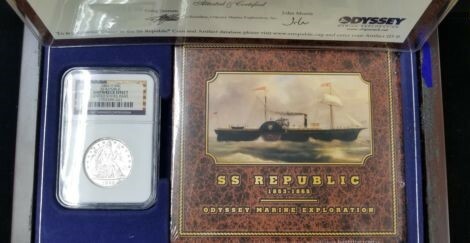 Excellent treasure ship memento.